Call today at 817-421-4030 for a free consultation ! If you are looking for a good deal or a price with best in business state of the art dental service you are at the right place. 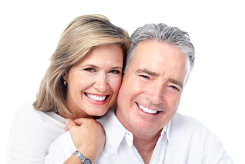 We beat all prices in Dentures so please call us! Complete dentures can be either conventional or immediate. Made after the teeth are removed the gum tissue has begun to heal, a conventional denture is ready for placement about 8 to 12 weeks after the teeth have been removed. Unlike conventional dentures, immediate dentures are made in advance and can be positioned as soon as the teeth are removed. As a result the wearer does not have to be without teeth during the healing period. A removable partial denture usually consists of replacement teeth attached to a pink or gum-colored plastic base. Partial dentures are used when one or more natural teeth remain in the upper or lower jaw. Not only does a partial denture fill in the spaces created by missing teeth, it prevents other teeth from changing position. A precision partial denture is removable and has internal attachments rather than clasps that attach to the adjacent crowns. This is a more natural looking appliance. Dental implants can be used to support permanently cemented bridges eliminating the need for a denture. The cost is usually slightly higher but the implants and bridges more closely resemble the feel of real teeth. Dental implants are becoming the alternative to dentures but not everyone is a candidate for implants. This is evaluated on a case by case basis.